Mr. Worldwide set the roof on fire at Marlins Park in Miami tonight as he kicked off the T-Mobile Home Run Derby – part of the MLB All-Star Week with an incredible performance. 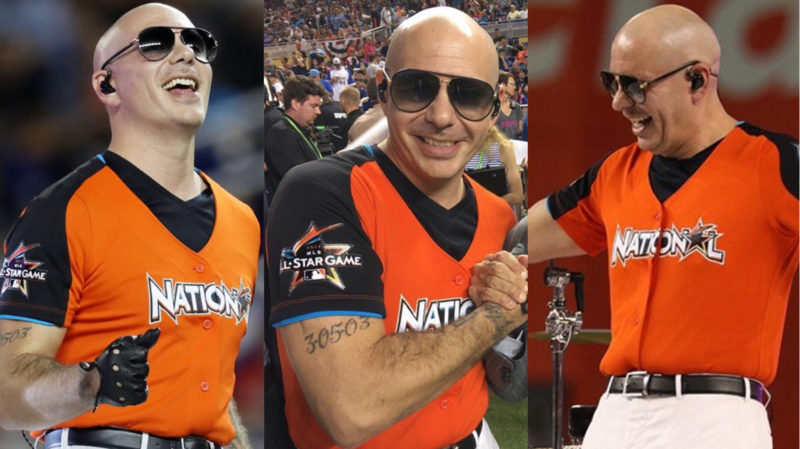 Rocking a custom baseball jersey, Pitbull kicked off the game with a performance consisting of some of his biggest hits, including, “Echa Pa’lla“, “Fireball“, and “Don’t Stop the Party“. Take a look at photos and videos from backstage and onstage below!